Totally Not Evil Robot Army: Are Remote Robot Games a 'Thing' yet? In the past 2-3 years there is a convergence of technologies that are enabling the streaming and control of robots through the internet. However, remote robotic control, for fun purposes like gaming is still in its infancy. Why is this? Why is remote reality gaming and robotic gamings still not a 'thing' (yet)? Maker based Robot Creation, Home internet broadband capability, low cost of components, converging with YouTube Streaming, Twitch Game Play, as well as the introduction of chatbots, AI, and ML are converging to make the concept of remote robot games a reality. I would start to differentiate these as webcams on robots, exploring with robots, and games with robots. The control of the robot could be observational, or first person. The most basic - watching robot games on TV, like the picture below. This is very basic robo-sport. It could be interesting, but in the current state is not very engaging. I think the real interest in being able to engage with the robot from the internet. Being able to steer it, perform some action, and potentially meet some (game) objective. The best example of that in a non-commercial setting would have to be at Homofaciens.de. Homofaciens has build an environment (Robospatium) where you can remotely through the internet connect to a rover-robot and steer it around. These robots have be working for many years, probably one of, or the first of its kind. In addition to the robot rover, Homofaciens has a wealth of information for physical computing. 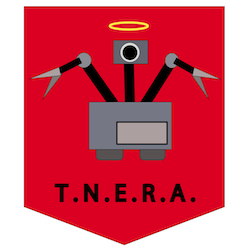 Norbert has a very successful YouTube channel with great videos on building your own robots from everyday items. letsrobot.tv is the work of Jillian Ogle. She has been featured on the cover of Make Magazine. She is setting out (like the rest of us) to make robots accessible to everyone, fun and enjoyable. 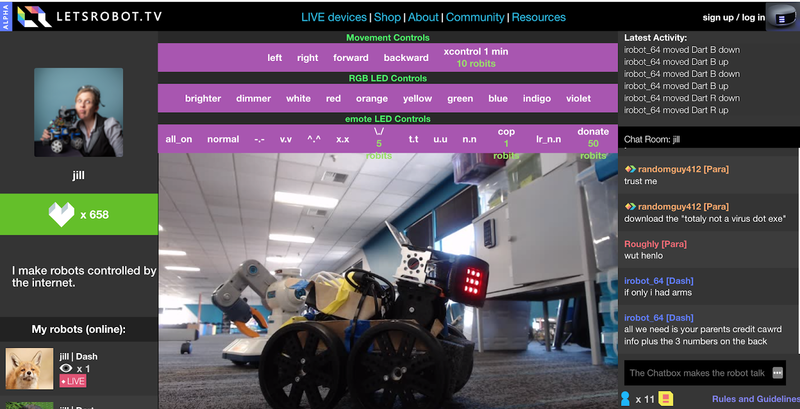 Letsrobot.tv is a platform where you can view and control remotely robots that are created and 'living' in robocaster's locations. There is a heathly community of robot enthusiast developing around Letsrobot.tv. Easy instructions are available how to create and add your own robot to the letsrobot.tv platform. 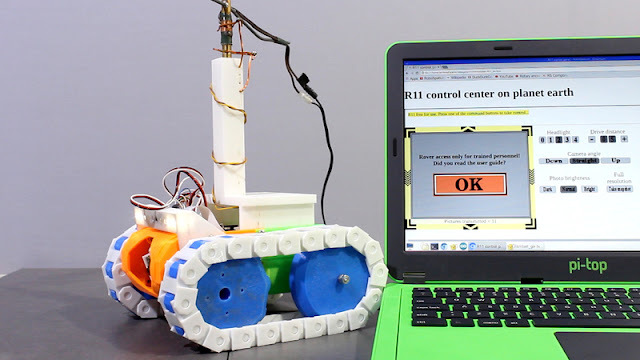 In addition to open source code for the development of the robot, runmyrobot, on Github. The platform supports a chat function allowing you to participate in the control of the robots with others. Having some of the local tokens, you can steer the robots and have them say things. There are a few varieties of robots available on the platform. This would include "The Claw" game, where you can remotely operate a claw arcade game and try to grab prizes from with in. 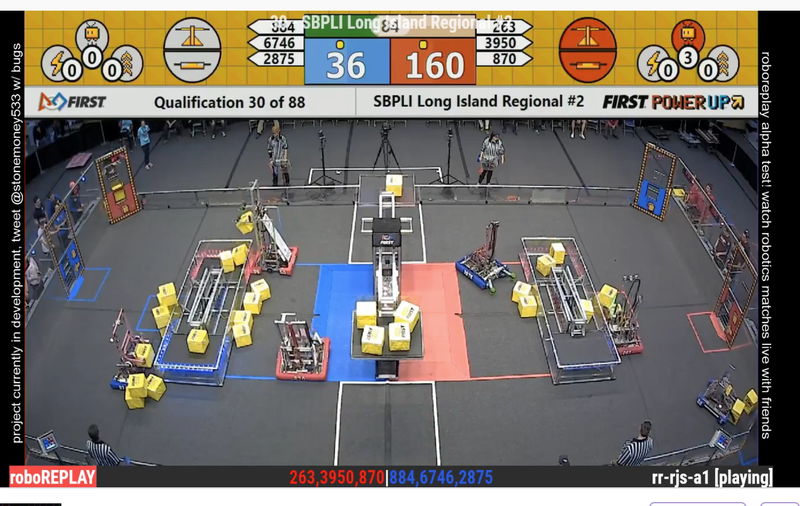 The letsrobot.tv platform is just gearing up now. It has received a lot of publicity from MAke and the Makers fair. It is notable that the platform is handling the video streaming quiet well. This is one of the more important elements of a remote controlled robot. One Twitch streamer has recognized this next step and created a Twitch chat controller robot, and associated gaming feature. 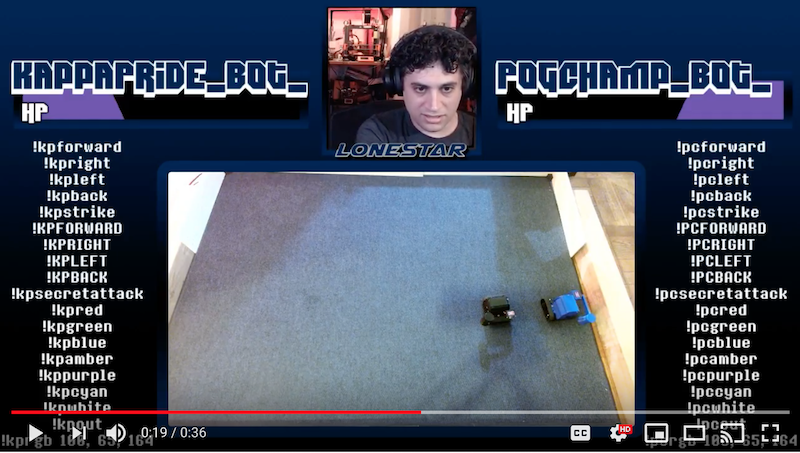 If you tune into TheOtherLoneStar twitch streaming channel you may find him building robots, or hosting a battle between his robots. All for fun, you can certainly internet remote control the bots and have fun with them. He also has videos of the builds, play action, and a HackaDay project. 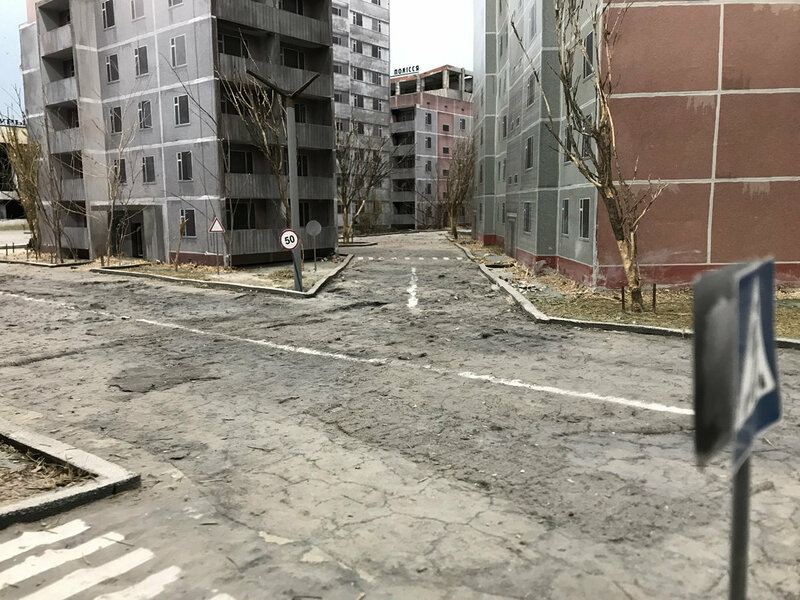 The hyper-real set is amazing! Here, with a subscription, you can explore the ghost town with a robot tank and compete in real time with others in different game formats. The game company is planning to offer franchises of their gaming platform for others to operate their own arenas. I would liken the model to that of 'laser tag' business plan, but with an Internet audience. Interesting to note, one of the founder stated "we noticed how quickly remote-controlled game robots are gaining popularity". 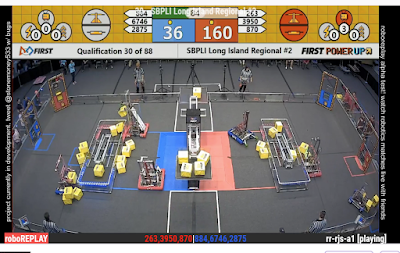 I think that there view point matches many in the maker/robot community. we are only just now starting to see the new use cases of robots, robot games, and remotely controlled robots. I think it will soon become a 'thing'.